Siam Surgery issues 28 day prescriptions, which means that each time you get a prescription, you will recieve enough of each medicine to last you one month. Telephone requests may lead to mistakes and therefore are only taken under exceptional circumstances. Patients on repeat medication will be asked to see a doctor, nurse practitioner or practice nurse at least once a year to review these regular medications and a notification should appear on your repeat slip. Please ensure that you book an appropriate appointment to avoid unnecessary delays to further prescriptions. 28 day prescribing means that each time you get a prescription, you will receive enough of each medicine to last you one month. Research has shown that a very large amount of medication is wasted when doctors prescribe for two months (56 days) resulting in the loss of millions of pounds of NHS money. This money could be used to provide services elsewhere in the NHS. The Department of Health supports one month prescribing and has said: “A 28 day repeat prescribing interval is recognised by the NHS as making the best possible balance between patient convenience, good medical practice and minimal drug wastage”. 28 day prescribing is supported by the West Suffolk Clinical Commissioning Group. How will 28 day prescribing affect you? If you are being prescribed a “repeat medicine” your doctor will prescribe enough of each medicine to last you for 28 days. For example, if you are taking 2 tablets a day you will receive 56 tablets, 3 tablets a day 84 tablets, 4 tablets a day 112 tablets etc. There are some drugs which are prescribed in 3 or 6 monthly amounts e.g. contraceptive pills and hormone replacement therapy (HRT). You will always start (and finish), the container of each medicine on the same day of the week. In this way, it will be easier for your doctor to review all of the repeat medicines you are taking and to see if you might be having problems with any of your medicines. 28 day prescribing reduces the amount of medicine which is currently wasted when medicines are stopped or changed by doctors. It also reduces the amount which is wasted when partly filled containers are thrown away. At the moment, a large number of patients make several visits a month to the surgery because their medicines run out at different times. As you will finish your medicines all at the same time, you should only have to visit the surgery once a month to collect your repeat medicines. It will also reduce the likelihood of needing to make an emergency request if you run out of medicine. Does it cost patients more? The vast majority of patients collecting repeat prescriptions do not pay prescription charges; therefore there will be no difference to these patients in terms of cost. If you do have to pay prescription charges and you need more 4 or more prescription items in 3 months (or 13 or more prescriptions in 12 months), the best way to pay for your prescriptions would be to obtain a Prescription Prepayment Certificate (PPC). Apply following the link online, or ask at reception or your pharmacy if you would like more information. All medicines should last for the same number of days. If you are running out of some items or have too much of some medication, please tell the practice. Do not stockpile medicines at home; only order those items on your repeat prescription that you need. Return unwanted medication to your local pharmacy for safe disposal. 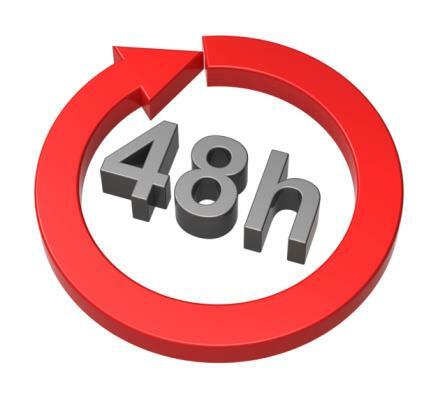 The NHS recognises that a 28-day repeat prescribing interval makes the best possible balance between patient convenience, good medical practice and minimal drug wastage. The British Medical Association notes that "Prescribing intervals should be in line with the medically appropriate needs of the patient, taking into account the need to safeguard NHS resources, patient convenience, and the dangers of excess drugs in the home."  Reducing the amount of medicine which is currently wasted when your doctor stops or changes your medicine.  Reducing the potential for error when your medication is changed in the middle of supply.  Increased safety as you will not have multiple containers of the same medicine meaning it is likely to reduce the number of mistakes made by, for example, elderly patients, and it will also reduce the risk of potential poisoning of young children.  Many medicines are supplied in 28-day ‘calendar packs’ that show the day of the week on the packaging, allowing you to check that you have taken your medication each day. You will start and finish the container of each medicine on the same day of the week, meaning it will be easier for your doctor to review all of the repeat medicines you are taking and to see when you have not ordered your medicines.  Many patients have to make several visits each month to their surgery because they have run out of their medicines at different times. With 28-day prescribing you should finish your medicines all at the same time, meaning you will only have to visit the surgery once a month to collect your repeat medicines. It will also reduce the likelihood of needing to make an emergency request if you run out of medicine.  Financial losses due to medicines waste represent a direct loss to patient care. Since 28-day prescribing reduces medicines waste, this in turn has a positive impact on patient care. Studies in the UK and abroad have shown significant savings and a reduction in waste with 28-day prescribing. For example, a Bradford University study concluded that the NHS cost of prescriptions issued for 56 days’ supply is greater than those for 28 days. 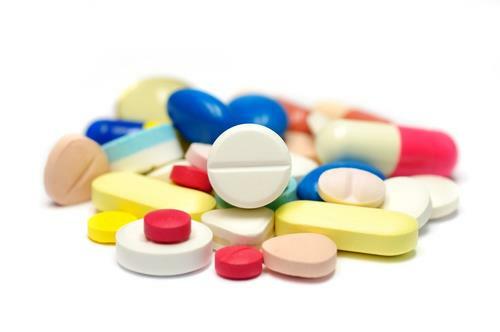 In Lancashire, a project looking at waste medication returned to community pharmacies over four months found 4800 items were returned at a net ingredient cost of £19,000. 95% of these items were prescribed medicines, and 21% of the medicines were returned unopened. Your doctor will provide you with a prescription for an interval that they believe to be most clinically appropriate for you, taking into account all sort of issues, such as how stable your condition is, how long they expect you to take the medicine for, any side-effects you may experience, whether or not your medicine may change in the future, and any monitoring required. For some patients on certain medicines at a stable dose (e.g. contraceptives, levothyroxine), your doctor may decide it is appropriate to issue prescriptions for prescribing intervals longer than 28 days. Most patients collecting repeat prescriptions do not pay prescription charges, therefore there will be no difference to these patients in terms of cost due to 28-day prescribing. If you do have to pay prescription charges, then it may be beneficial for you to buy a Prescription Prepayment Certificate – ask your pharmacist for more information or contact the NHS Business Services Authority on 0845 850 0030 or visit www.nhsbsa.nhs.uk/1127.aspx.  All Wales Medicines Strategy Group. All Wales Review and Guidance for Prescribing Intervals. February 2013.  Focus on excessive prescribing. BMA. Updated March 2013.  General Practitioners Committee: Prescribing in General Practice. BMA May 2013. 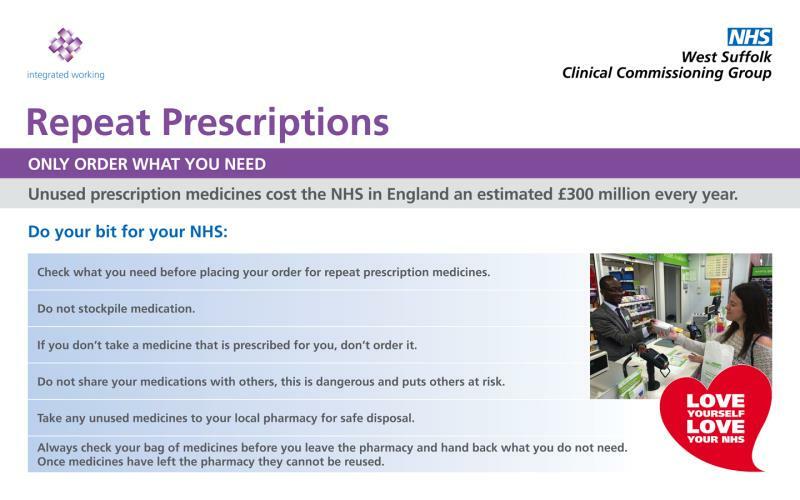  National Prescribing Centre Connect Newsletter. Issue 55, December 2008.  NHS Cambridgeshire & Peterborough CCG. Repeat Medication for 28 Days. 2009.  NHS Dorset CCG. 28 DAY PRESCRIBING: Why your GP practice prescribes medicines at one month intervals. You need to choose a place for your GP practice to electronically send your prescription to. This is called nomination. Ask any pharmacy that offers EPS to add your nomination for you. For more information visit www.hscic.gov.uk/epspatients.